Study: Looking back in my life, are there any activities, people, or situations that have helped me to grow? Pray: Ask the Lord for the wisdom to recognize the Fruits of the Spirit and the courage to embrace them. Serve: Look for an opportunity this Lent to offer a part of your life to helping another – especially someone who has no way to pay you back. 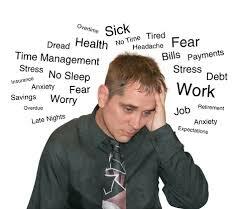 Study: Where in my life am I anxious, worrying about things I have no control over? Pray: Ask the Lord for the wisdom to focus on the needs that I have the power to change and affect. Serve: Is someone in my life struggling with useless worry right now? How can I walk with them and offer comfort and strength? Do you ever wonder how much time we waste worrying? The Lord says “Do not worry” three times in the Gospel of Matthew, and I am inclined to believe that the repetition is there because, quite simply, we worry too much. I am constantly reminded in both my personal experience and my ministry how much life can be lost when we get anxious, and I take great comfort in the words of Jesus. Frankly, I believe the devil laughs when we worry; we waste our lives in an effort that gives nothing, absorbs our attention, and offers no growth or peace of mind. It is utterly useless. To understand this passage I think it is important to make a couple of simple distinctions. First, we can be mindful of what is in and out of our control. Certain things in life we have the power to change; our effort (thinking, planning, choosing, carrying out) can make a difference. Yet we also know that there are many things that are out of our control: weather, economic forces, complexities in our relationships, accidents, and the like. Nothing we do can affects these events – we can only adapt and respond as the situation warrants. Second, planning is not worrying. Sometimes part of the work in our control is to make the plans and preparations necessary for the best outcome. God has given us many talents and skills, and our ability to anticipate needs and situations can help us add goodness and beauty to our world – it can save lives, and allow us to experience life through our best effort. So, if something is outside my control and I am spending time, effort, and emotional energy on it – I am wasting my God-given gift of life. If something is within my control and I do what I can to create the best outcome possible – I am using my God-given gift of life. Our first priority is to put God at the center of our lives. Jesus invites us to build our lives on a foundation where the love and pursuit of God come first. With the Lord at the center of our lives we can then enter into proper perspective with others and the material needs of life. Simply put, when God is first then everything else falls into place. Here’s a final question: Am I anxious? Am I wasting time, effort, and energy on things out of my control? What are the obstacles that are robbing my life of beauty, strength, and goodness. Can I locate the points of worry, recognizing their impact on my life and choosing to let them go? Perhaps now is the time to turn to God and focus our lives on the one who made us, redeemed us, and strengthens us each and every day. Life is a precious and holy gift – meant to bring the love of Jesus to those around us. Perhaps now is the time to ask the Lord to plant peace in our hearts, letting go of anxiety and useless worry. Study: Are there people in my life right now who are hard to love? What is it that keeps me from reaching out to them? Pray: Ask the Lord for the wisdom and courage to love. Serve: How might I reach out to someone in my life today? Who is the Lord calling me to love? Love is one of those words that easily gets overused in our everyday language. We “love” our moms, ice cream, pets, a good movie, favorite song, significant other, piece of clothing, the newest electronic, or any of a thousand other things. But we don’t “love” them equally. Many of these things we “like” a lot, and in our desire to show how much we like something we might want to stress the point with the word love. Love is not for the faint of heart! At its core love reveals how we value others and vividly displays how we will freely choose to act on those values. Love reveals a fundamental commitment to people and a willingness to see the goodness in another. 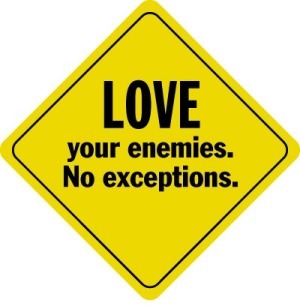 That sounds good for people we care about, but Jesus pushes this point to the edge: what about our enemies? What about those who are difficult, belligerent, awkward, hostile, cruel, and unpleasant? Can we love them? One way to test this point is to ask a simple question – for whom am I willing to sacrifice my life? those who actively dislike/irritate/aggravate/hate/are cruel to us…. This question is important for one simple reason – Jesus did this. The Lord sacrificed his life for all of us, not on our best day but our worst. Christ showed the depth of his love by offering his life for us; his death on the Cross and resurrection are the means of our salvation. In other words his love is revealed by his sacrifice for what is best for us. And that is our example of love. In this command Jesus presents us with something that calls for complete transformation. He calls us to a radical care for others that will demand our very hearts. He calls us to be like Him. Now I offer one caveat: love also requires respect, dignity, and justice. We are not called to be doormats that others harm, nor are we expected to tolerate evil. We stand up to what is wrong and defend life (this is also part of the command of love). But the point remains – do we care for others in such a way as to show our value for the gift of life? Do our words, thoughts, and actions reveal our fundamental respect for the souls (created & redeemed by God) of others? Study: When have I embraced a project or task and truly made it my own? When have I poured my heart into something? 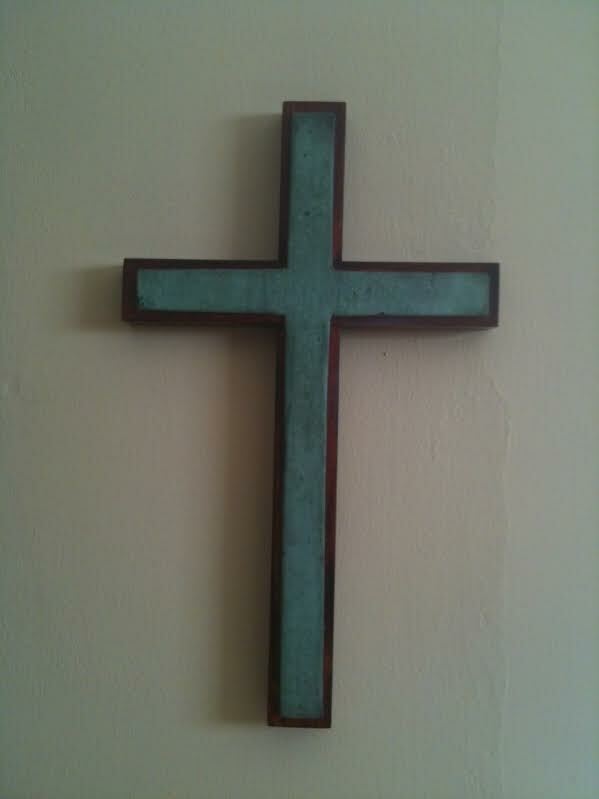 Pray: Ask the Lord a simple question: where am I invited to grow and change? Serve: Is there a situation or opportunity in my life right now that will help me grow in new ways? Is there some way I can share my life? Two students walked in to a class on the first day of the semester. The room was filled but they found a couple of chairs up front and sat through the opening remarks of the professor. As the class progressed both took copious notes and carefully followed the lecture. When the class was done, both waited to speak with the teacher. The first said, “I need this class to graduate. Can you recommend what I need to focus on to get a good grade?” The professor nodded and wrote down a list of extra resources to study. Point: have you ever noticed the difference between something you felt you had to do and something that you wanted to do? The first is an obligation; the second is a conviction. So…how would you describe your faith? Jesus speaks to a number of points in the Gospel of Matthew today, and in every case the Lord invites us to move from the obligation of the law to a new level of intensity – to embrace His words as a fundamental conviction that inspires us toward God and one another. Do we consider our discipleship as something we have to carry out? Do we need a “good grade” to tow the line and get to heaven? Do we see our lives as completing a list of tasks? Or are we disciples who look for new ways we grow? 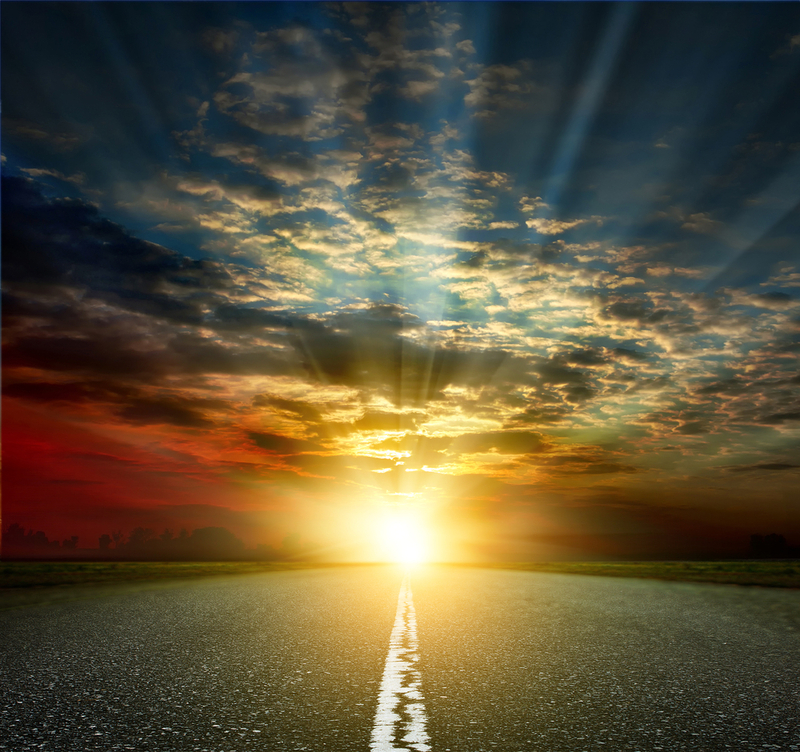 Do we seek to be transformed – to become something more – to open our hearts to the journey that happens when we let God completely into our lives? It is this radical growth that can challenge us. Following Christ requires us to set aside our prejudices and presuppositions and be guided by the desire to be like Jesus. We will be asked to change, transform, grow, and allow our lives to be directed by the Lord. Back to those students…both got good grades. But the first promptly forgot the class and never used it again. The second found the course interesting, moving, and planned a career and life decisions around the material. How about us? Will our faith be something that is just a small part of our life, or will it be something that inspires and illuminates it? The first is an obligation we fulfill; the second is a way of life that brings God’s life to ourselves and those around us. Study: What particular gifts or talents do I possess? What comes naturally to me – that I am good at and enjoy doing? Pray: Ask the Lord how you might be called or invited to share your skills and talents. Serve: Look around. Where do you see an opportunity where you might make a unique contribution? How can you make a difference today with the time, talents, and skills that the Lord has given you? I am fascinated watching people who enjoy using tools for work projects. Carpenters, plumbers, mechanics, craftsmen, and amateurs – all seem to derive great satisfaction using the right tool for a particular task. 1. Each has a specific function & task. 2. A tool often works in cooperation with others. 3. A tool is only good when it is used. 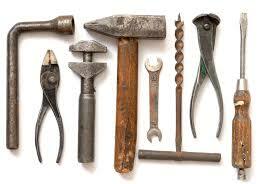 Simply put, tools have a purpose, and when they are used correctly for that purpose they provide meaning and aid. Tools enhance the quality of life, and they enable work that would not have otherwise been accomplished. In the Scriptures today we discover that we are God’s tools, called to act in the world to help others in their time of need. The first reading uses direct action words (SHARE, CLOTHE, SHELTER) to show that God desires that we intentionally reach out to the people around us. In the Gospel we are invited to let our actions shine so that others may see them and give glory to God. In this way our actions bring the love and power of Jesus Christ into the world; we become the Lord’s tools to spread the Good News. Yet just as tools have different purposes, so to different people have unique abilities. With all our different skills and talents we can ask, “What kind of tool has the Lord made me to be?” This question helps us discover our special qualities. Once we know what we have to offer, we can ask, “What can I do?” Every day we have opportunities to make the world a better place. Using our unique gifts we can bring Christ to one another. A tool makes sense when it is used properly. We are made in God’s likeness to live the command of love. May we put our lives to work as we act with the abilities we possess. In this way our light will shine for all to see and give glory to Jesus Christ.